SES YouTube Channel – (Video) Lee Odden discusses the integration of social media and SEO at SES San Jose 2009 with Greg Jarboe. Video interview with TopRank’s CEO during the Search Engine Strategies conference in San Jose. BtoB Magazine – SES SJ: Charlene Li Keynote – Preparing For The Future Of Search. TopRank’s Blog coverage of a Search Engine Strategies conference keynote is cited. mellow billow – Top 100 Best Social Media Books, Ever. TopRank’s list of best social media books is the inspiration of this comprehensive list. Inbound Marketing – SES SJ: SEO Through Blogs And Feeds. TopRank’s coverage (and speaking) of the Blog & Feed SEO session at the San Jose SES conference is cited. 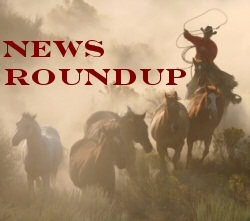 Impact Watch – Top Social Media Monitoring & Measurement Posts of the Week. TopRank Blog post on Social Media Answers You Should Know is cited. BtoB Magazine – Answers to Social Media Questions You Should Know. TopRank Blog post on social media insights is cited. Search Engine Watch – Top Stories from SES San Jose and Social Media & Video Strategies. TopRank’s liveblog coverage of How to Optimize for Search and Engage the Community. socialmediaBiz – SES SJ: White Hat Vs. Black Hat Social Media. TopRank’s liveblog coverage (and speaking) at Search Engine Strategies in San Jose is featured. 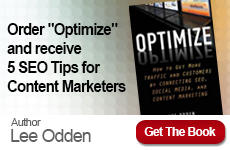 ZKQ Blog – Optimize for People First: Lee Odden on SEO. TopRank’s CEO participated in a live Twitter chat #blogchat offering tips on SEO for bloggers which was documented in this blog post. Network Solutions Blog – SEO Buzz – Learning SEO in 30 Minutes a Day. TopRank Blog is listed amongst a list of recommended reading for learning SEO. WebProNews – What Blogs, RSS Feeds Bring to the SEO Table. Liveblog coverage of TopRank’s presentation at SES San Jose on Blog Linkbuilding Tactics. SES YouTube Channel – Steve Grove of YouTube and Lee Odden of TopRankBlog on YouTube video optimization, SES San Jose 2009. ClickZ Blog – Zappos, Cisco to Chat Up Social Media at SES San Jose. 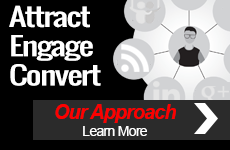 TopRank’s participation in the ClickZ/OMS track of SES San Jose is featured.